Winning Cures Everything; Diving Is For Losers. 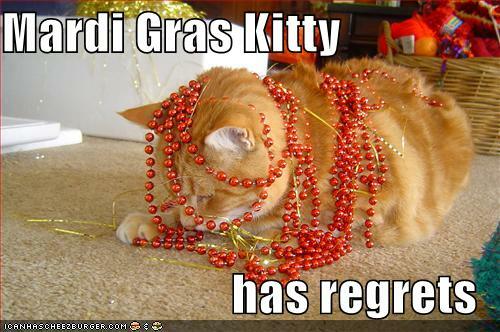 It’s Fat Tuesday…Mardi Gras. Show us yours and we’ll toss you some beads! Or maybe not. Either way, whether you tend to spill more rum from Hurricane glasses on your shoes or jelly from packzis on your shirt, it’s a day to celebrate. And after last night, we’re ready! Just not much to say today – we actually have work to do. And the rest of the season to fret about. And then playoffs. And Coach Boudreau’s blood pressure. 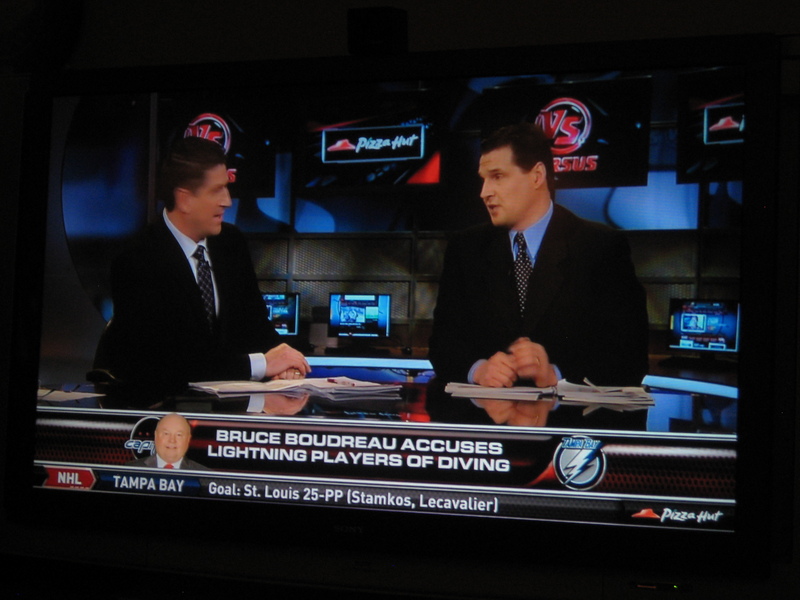 Speaking of for just a quick moment, what was with Coach’s comments yesterday about the Bolts’ squad? “Stamkos, he dives every two seconds.” And this before the game? So what if he’s right? So what if Stamkos is a flopper? Just thinkin’ here – not really the best time to launch a bottle rocket into the other team’s locker room. I mean, on the Sheen scale it only barley rates…but lets just think a few before poking any wasp’s nests, eh? Green on the ice for warm-ups in Tampa. Need Moar Green! Whatever. We’re in too good a mood. And topped off with encouraging words from Katie Carrera about Nicky and Neuvy: “…they’re OK” sez Coach. Pics from last night’s nail-biter, courtesy Mike Carlson of AP. Proud of you, boys! This entry was posted in Uncategorized and tagged Tampa Bay Lightning, winning is for winners. Bookmark the permalink.